Meet the new man in my life – this is Terry the Rooster. Actually, he was hatched from an egg that was given to us by a neighbour, when our chickens were doing little by way of laying. We thought for a while he was Terrietta, even credited him with laying an egg. However, he turned out to be a beautiful male bird. We adopted another rooster, Jethro we called him, along with two chooks Ellie and May. Although there are dozens of females here, Jethro took exception to Terry’s presence and he was beaten up unmercifully. However, after nursing him back to health, we have kept him near us. He has such a lovely nature, and now follows us around the yard. Each morning he waits on the grass outside the bedroom window, waiting for a treat of some special food, just for him. He’s become another of the family pets. 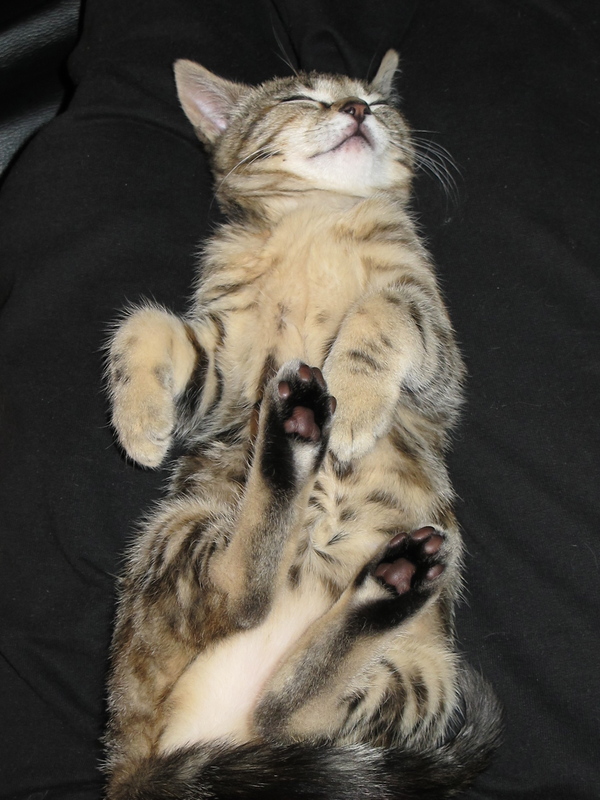 Speaking of family pets – our ugly duckling kitten Truffles is turning into a very pretty little cat. She’s as affectionate as can be and even Rosie, who disliked her intensely at first, will now tolerate and sometimes play with her. 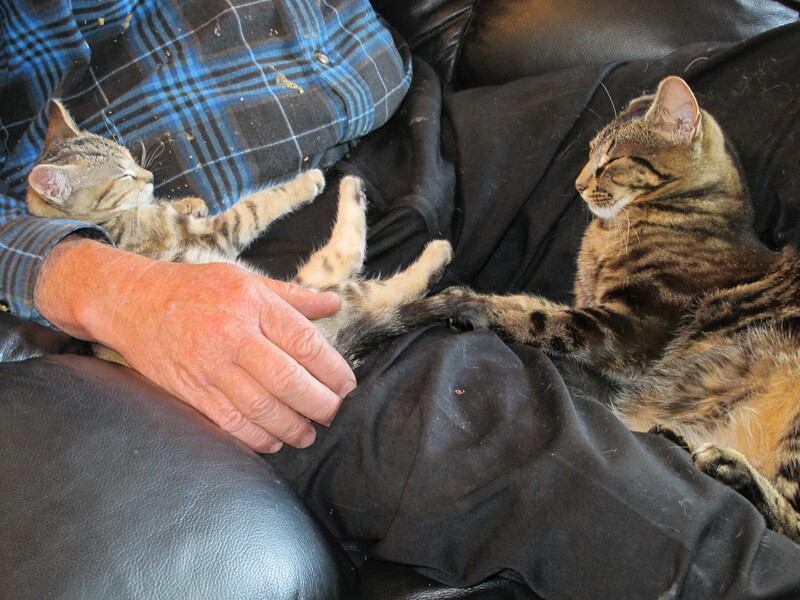 It is acceptance indeed when she allows Truffles to share Robert’s lap for an afternoon siesta. Some people may think us daft with all these rescue animals because we can’t go away on holiday. However, what they give in return for simple food, shelter and a little love is worth far more than any overseas or interstate vacation. We just love them. I have been searching your blog and your books for a recommendation for the vinegar/s I should use when making chutney/relish/pickles. When I check the labels in the supermarkets in NSW, few are marked with the % acidity except the significantly more expensive wine vinegars? I believe you need a 5% acidity for safety of the finished product? Do you have a recommendation – I understand if you are unwilling to endorse a particular product. Gorgeous cat! I have one with very similar markings.